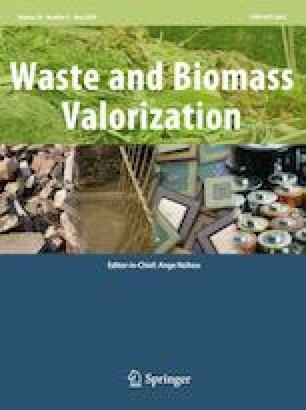 This work aimed at investigate the effects of a maturation treatment on the chemical and environmental properties of a bio-stabilised waste (BSW) produced from a Mechanical Biological Treatment (MBT) plant. Whilst several studies assessed the effects of maturation on compost properties, only a few works focused on BSW subjected to prolonged stabilisation processes. To this aim, the BSW produced from a MBT plant was subjected to a further pilot-scale prolonged curing, monitoring volatile solids and carbon content. Furthermore, a detailed characterization was performed on three BSW samples collected at different treatment duration, evaluating the biological stability, the total metal content, the metal speciation and their release in water. The obtained results confirmed that the adoption of a prolonged maturation process could improve the characteristics of the BSW produced in the MBT plant. After 28 days of treatment, the BSW presented a dynamic respiration index (DRI) value proper of a biologically unstable matrix. However, a higher stability degree was observed after at least 118 days (as shown by the DRI, the C/N ratio and the humification indices). The adopted treatment entailed also an improvement of the environmental behaviour of the material due to the decrease in the release of metal and organic carbon, as also shown by the reduction in the mobile fraction of metals observed in the metal speciation analysis. This study also showed that a preliminary assessment of the biological stability of a matrix could be already obtained analysing several parameter such as DOC, volatile solids and carbon content.